We have a lot of information to share in this alert – to make it easier, below is a table of contents of all the news we’re covering! Wrapping Up – scroll to the very bottom! 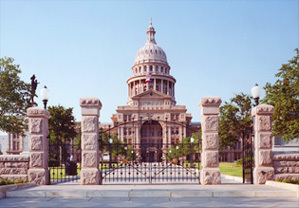 The 83rd Texas legislative session, including the vetoes and bill signings, is finally done. Overall, it was a very good session for the local foods movement. Out of the nine local foods bills that were filed, three passed and have been signed by the Governor: the cottage foods bill (HB 970), the DSHS Better Communications Act (HB 1392), and the farmers’ market bill (HB 1382). Our success rate in passing bills was significantly higher than the average success rate for bills this session. And the simple fact that nine local foods bills were filed is itself an important step forward! 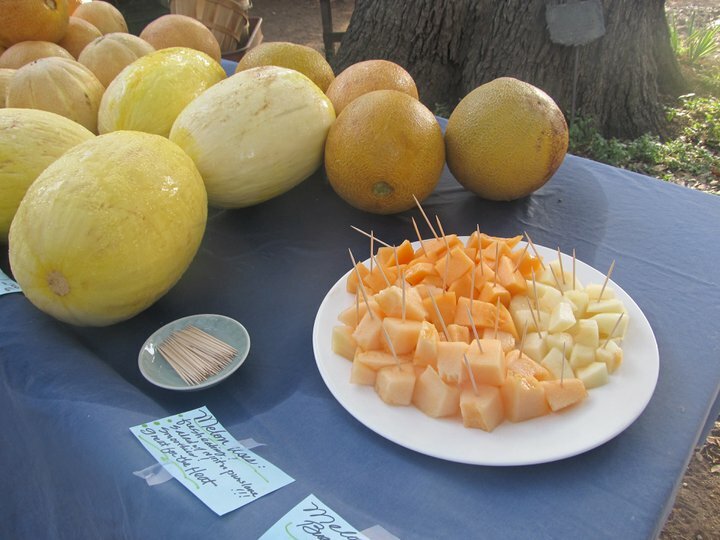 Back in 2006, when we started FARFA, almost none of the legislators had any awareness or knowledge of local farms, farmers markets, or any of our issues. This session, six Representatives, from both rural and urban areas and from the full range of the political spectrum, stepped forward to file bills to support local farmers and food producers. There were joined by dozens of their colleagues who co-authored the bills. Both the wins and the losses help move us forward in this process. Many people worked hard to make these bills a reality. Every person who called, wrote, or visited his or her legislators deserves part of the credit, and we appreciate your activism! We are disappointed, of course, that several good bills failed to pass. The loss of the raw milk bill for a second session is particularly painful, although we at least made significant progress this session. The worst news comes from the Animal ID bill. In a session marked with delays, the Animal ID bill flew through with the support of Agribusiness groups. But this is not the final chapter on this issue. 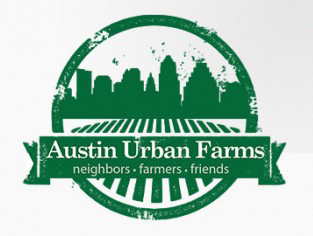 The City adopted an urban farming ordinance back in 2000 that is extremely restrictive, unnecessary, and unfair. The only reason it did not cause problems earlier is because no one knew about it and it wasn’t enforced! But a few months ago, HausBar was shut down because of the ordinance. We had three major wins from this session: the cottage foods bill (HB 970), the farmers’ market bill (HB 1382), and the DSHS Better Communications Act (HB 1392). All three bills have been signed by the Governor and will go into effect on September 1, 2013. ❖ HB 970, the cottage foods bill, allows people to make nonpotentially hazardous foods in their home kitchen and sell them directly to consumers, up to $50,000 annually, without being regulated by the state or local health departments. The list of allowable foods includes: nonpotentially hazardous baked goods, candy, coated and uncoated nuts, unroasted nut butters, fruit butter, canned jams and jellies, fruit pies, dehydrated fruits, dehydrated vegetables, dried beans, popcorn, cereal and granolas, dry mixes, vinegars, pickles, mustard, roasted coffee, dry tea, and dried herbs and herb mixes. 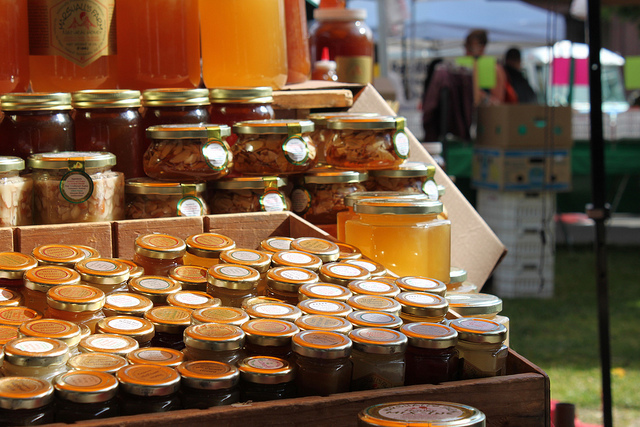 These foods can be sold at the producers’ home, farmers’ markets, farm stands, and municipal, county, or nonprofit events. The food does need to be labeled, and the producer must have a food handlers’ license. ❖ HB 1382, the farmers’ market bill, sets clear, reasonable standards for sampling at farmers’ markets and farm stands. The previous regulations were based on brick-and-mortar facilities with commercial kitchens, and they were not feasible for most farmers; the farmers were also sometimes required to get special permits and pay excessive fees. Under HB 1382, samples must be distributed in a sanitary manner; the preparer must either wear gloves or wash their hands; visible dirt must be washed off; utensils and cutting surfaces must be easily cleanable and nonporous; and the samples must be kept at a safe temperature or disposed of within 2 hours. No special permit is necessary – as long as these conditions are met, the farmer or food producer may provide samples to customers. The bill also clarifies what activities are allowed as part of a cooking demonstration and waives permit fees for educational cooking demonstrations. ❖ HB 1392, the DSHS Better Communications Act, requires the Department of State Health Services to provide a response within 30 days if a farmer or food producer asks, in writing, how the law applies to their situation. If the farmer complies with DSHS’s response, he or she cannot be fined if the inspector later disagrees. This address a very serious problem that our producers have faced in being unable to get straight answers as to what they have to do to operate legally, as well as being at constant risk of citations and fines if the inspectors disagreed. Special thanks go to the bill authors: Representative Eddie Rodriguez, the author of the cottage foods bill; Representative Susan King, the author of the DSHS Better Communications Act, and Representative David Simpson, the author of the farmers’ market bill. (The full list of co-authors is below.) In the Senate, Senator Bob Deuell and Senator Jane Nelson picked up the bills and got them through in the final crunch of the session. These legislators stood up for local food producers and the interests of their constituents against some powerful special interests. Thanks also goes to the Texas House Farm-to-Table Caucus, which supported HB 970 and HB 1382, as well as several other important local foods bills. A huge thank you goes to Kelley Masters of Texas Baker’s Bill for her tireless efforts on cottage foods over the last five years! Kelley started as a lone passionate spokesperson for cottage foods, and she went on to build a powerful grassroots presence that really made its voice heard at the Capitol. Thank you also to the organizations and individuals who testified on these bills, often spending a very long day at the Capitol: Texas Organic Farmers and Gardeners Association, Sustainable Food Center, Natural Grocers, Amy Greer of Winters Family Beef, Bekki Callaway of Skinny Lane Farm, Germaine Swenson of Munkebo Farm, Erin Flynn of Green Gate Farms, Peggy Higgins, Amy Blea, Jennifer Webb, and the Texas Public Policy Foundation. Together with the many people who came to the Capitol for our Citizens Lobbying Day, registered in support of the bills, and called their legislators, they served to put faces and stories to these bills – and to show the breadth and depth of the support from across the state for local foods. This is a truly grassroots efforts, and our success is only possible because so many people made their voices heard! The legislative process is set up to make it difficult to pass bills, especially grassroots bills. From the beginning, we knew that the majority of our bills would most likely not make it all the way through, although we had no way of predicting which. Four of our bills made it through the substantive committees, either Public Health or Agriculture, but then died in the Calendars Committee without being scheduled for a vote of the full House. The Calendars Committee is always a difficult hurdle; this session, however, Calendars became notorious throughout the Capitol for killing hundreds of bills, scheduling far fewer than usual for votes by the House. 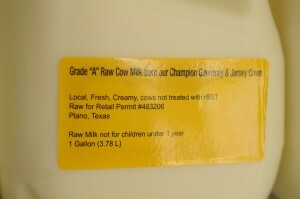 ❖ HB 46, the raw milk bill, was the most controversial of all our bills this session, yet again. The bill would have improved access to raw milk by allowing licensed farmers to sell raw milk directly to consumers at farmers markets and consumers’ residences. Like last session, we faced staunch opposition not only from the Texas Dairymen’s Association, but also from the far more powerful Texas Retailers’ Association and the Texas Medical Association. While medical associations across the country disapprove of raw milk, Texas appears to be unique in the fact that our medical association makes lobbying against raw milk a high priority. Thanks to the growing, organized grassroots support for raw milk, we were nonetheless able to get the bill approved by the Public Health Committee with a strong 9-2 vote. The bill’s sponsor was told that the bill would get a vote on the floor of the House, and we believe we had the votes to pass it. But it got stalled in Calendars. All of the Calendars Committee discussions are done behind closed doors, so we cannot be certain about who bears the responsibility for killing this bill. We do have good reason to believe, however, that Sarah Davis of Houston played a key role. Houstonites should demand an explanation! As disappointing as it is to lose the raw milk bill a second time, it is important to note that we made progress. Last session, the bill never made it out of the Public Health Committee – this time, it did. Each time we take a step forward, we build more strength and come closer to success in the next round. ❖ HB 910, to limit the permit fees imposed on farmers and farmers market vendors, was one of the very first bills approved by Committee this session. The opposition to the bill came from local health departments afraid of losing revenues. ❖ HB 1306 – which would have provided fair property tax treatment for urban farms, sustainable farms, and community gardens – took a more torturous route. Conventional agriculture groups initially objected to any reference to “organic” or “sustainable” agriculture, forcing changes to the bill. And then the Comptroller attached a huge fiscal note to the bill, claiming that it would cost the governments hundreds of millions of dollars in tax revenue. The assumption was that every person who had any acreage at all would suddenly qualify for agricultural valuation – even though, to do so, they would have to show that the principal use of their property for the last five years was in agricultural production, of the intensity generally accepted in the area. Despite the patent absurdity of this assumption, the fiscal note required yet more drastic changes to the bill. The bill was finally approved by the Agriculture Committee, only to die in Calendars. ❖ HB 1393 would have addressed a technical regulation that poses a barrier for many farmers and food producers, allowing people to license facilities within their own homes if they met all of the applicable sanitary requirements. Current regulations require that any licensed food facility be in a separate building from a residence. For small farmers and small-scale food producers, this means a choice between spending thousands of dollars building an entirely separate building or having to rent space –– at significant expense and inconvenience –– at a commercial facility. Local health departments opposed this bill as well, this time based on spurious arguments that the bill would prevent inspections (which was not true). Despite their opposition, the bill was approved without any amendments by the Agriculture Committee, only to join the hundreds of other bills that died in Calendars without a vote by the full House. ❖ Two other bills did not make it out of Committee. HB 254 would have exempted urban farmers and community gardeners from paying wastewater fees for services they don’t use. HB 1652 would have protected landowners from liability suits if they allowed their property to be used for community gardens, thereby creating an incentive for more landowners to do so. HB 1652 did have a very positive hearing, but it was too late in the legislative session to move forward. It often takes more than one session to pass a bill, and we will continue to work on several of these issues in 2015. Special thanks go to Representative Dan Flynn, who authored the raw milk bill, as well as to the many joint and co-authors (listed below); Representative Lois Kolkhorst, who authored the fees bill; Representative Susan King, who authored the no-separate-building bill; and Representative Borris Miles, who authored the wastewater fees and community garden bills. Even though those bills did not pass, we deeply appreciate these legislators’ support for local foods. Animal ID reared its ugly head this session again. For those who are not familiar with this issue, FARFA was founded in 2006 in response to the threat posed by the National Animal Identification System (NAIS). FARFA led a coalition of organizations that, together with thousands of individuals, ultimately stopped NAIS in Texas and nationally. The Texas Animal Health Commission (TAHC) and many industry groups, however, continue to want more mandatory animal ID requirements. It makes the bureaucrats’ jobs easier, while benefiting feedlots and meatpackers by removing some of the barriers to international trade. 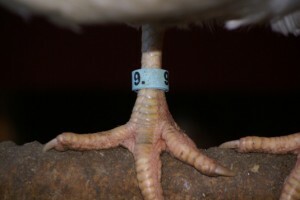 Supporters of this session’s Animal ID bill, HB 2311, claimed that it only allows mandatory requirements to be imposed in connection with animal disease issues. But there are no such limits in the bill, and the sponsors refused to make any amendments. The bill moved at breakneck speed, although the grassroots opposition did succeed in temporarily slowing the bill down in the Senate. Unfortunately, those comments would have been accurate had FARFA’s amendments been adopted – but the limitations are not in the text of the bill as passed. Do the comments on the floor outweigh the language of the bill? If the TAHC abuses its new authority, we may have to find the answer out in court. There is some ambiguity in the language that at least leaves it open to challenge. As with NAIS, the battle is not over simply because this Animal ID bill was passed. The bill is permissive, so it grants TAHC authority but does not dictate specific action. While TAHC has a track record of ignoring grassroots comments, the rulemaking process does provide opportunities to oppose any inappropriate new requirements. Even when NAIS was on the books, we were successful in stopping the adoption of new regulations through grassroots pressure! HOLD THE SUPPORTING LEGISLATORS ACCOUNTABLE! The constituents of those who pushed the bill – Representative Kyle Kacal, Senator Charles Schwertner, and the co-authors – need to hold their legislators accountable. We will post more information in the coming months on specific steps to take. Thanks go to all of the legislators who stood with the grassroots and voted NO on the bill in the House (see www.journals.house.state.tx.us/hjrnl/83r/pdf/83RDAY59FINAL.PDF#page=57). Special thanks go to Representative Bryan Hughes for his courage in proposing a limiting amendment on the House floor and his eloquent arguments. Thanks also to Senator Kirk Watson for raising his constituents’ concerns on the Senate floor. Making change in our agricultural and food systems is a long and difficult process. It took decades for the large corporations to gain control over our food system, and it will take years of hard work by dedicated people to take that control back. 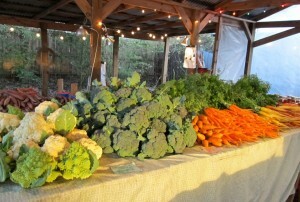 This session marks a significant step forward for the local foods movement in Texas. We succeeded in passing three bills, despite opposition from some very powerful lobbying groups. Losses – both the loss of some of our good bills and the passage of the Animal ID bill – are to be expected, and are part of the political process. We will continue to grow and organize our movement to be an effective voice for our farmers, food producers, and the consumers who rely on them for quality food. Thank you for being part of this process – we could not do it without you!